Recently I had a conversation with a colleague (from a neighboring state) regarding a disturbing trend with museum passes. We have both noticed that the cost of museum passes has been increasing while the discounts associated with the pass are decreasing, and some museums have discontinued their passes or do not offer any pass at all. We both find this reality disturbing. As the director of a nonprofit (versus municipal) library, I am painfully aware of shrinking grants, personal donations, and smaller amounts of available funding in our current economic circumstances. To this end, I fully understand the probable motivations behind a museum’s library pass policies and charges. However, museums and libraries have had a long and symbiotic relationship. The isolationist approach will surely hurt us both in the short and long term. The pattern is easy to extrapolate. A local museum raises its pass rates and/or lowers its discounted value for pass users. Consequently, the library cannot afford the pass or its circulation dwindles when patrons cannot afford the museum’s cost even with the discount. Eventually the library discontinues its library pass program because the cost benefit is not worth it. In isolation, this pattern would likely go unnoticed, but the national and long term effects will be huge. This is not simply a pattern that would result in less circulation or patron visitor counts, but one that has large social justice and cultural implications that challenge the mission of both institutions. Museums and libraries share a mission of education and cultural transmission. It is often through libraries and the free services we can offer that those in need gain access and advancement. Wealthy people do not come to the library for discounted admission to a museum; they simple go to the museum and pay the entrance fee. Without museum passes at the public library, how many economically-challenged individuals will not get to experience a museum’s collection and the knowledge it brings them? We in effect will have created or enabled inequality of a kind that is antithetical to the library mission. I believe there are solutions that can allow for both institutions, the library and the museum, to benefit. 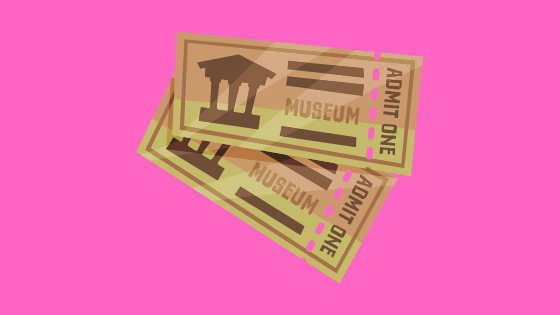 Some of us have approached our local museums with ideas: sliding scale fees linked to use or circulation, limited numbers of free passes, partnerships that allow patron’s free access at a particular time, or discounted pricing in exchange for marketing or fundraising assistance. These ideas, while fine, put the burden of a much larger issue on individuals. It would seem to me that this kind of issue is exactly the sort that our larger professional organizations and associations should be addressing by seeking out partnerships with their sibling museum organizations. The relationships between libraries and museums would seem to be the ideal partnership opportunities sought by state libraries or organizations. Sadly, the anecdotal evidence indicates our larger professional organizations do not seem to be interested in taking up this mantle at present. This doesn’t mean it should be let go. We can all go on doing our individual thing with those in our backyard, and/or we can all go on tsk-tsking about the increased cost of museum passes and the inadequate discount they may offer, or we can do something collectively. We can set up local plans and share ideas with libraries and museums in our own areas and we can continue to lobby library and museum professional organizations for help. If this is the pervasive problem I believe it is, it is my hope is that simply by raising this we can all help each other — help libraries; help museums; help patrons, and stand up for the culture and ideology that we value.